This is the fourth post in a series of interviews conducted by the Woodruff Library with the 2016-2017 Woodruff Library and Emory Center for Digital Scholarship (ECDS) Fellows. Funded by the Laney Graduate School School, the Woodruff Library and Emory Center for Digital Scholarship (ECDS) awards fellowships to advanced graduate students expecting to complete their dissertations by the end of the fellowship period. Fellows are placed within the Woodruff Library and ECDS to work in an area related to their subject specialization or interest, culminating in a formal presentation in the Spring. Adam: My name is Adam P. Newman and I am a PhD candidate in the English Department here at Emory. I am a native of Queens, NY and completed my undergraduate studies at Vassar College in upstate New York before making my way south to Atlanta for graduate school. My favorite thing about Emory has probably been the Disability Studies Initiative, which has served as a vital social and intellectual home for me throughout my time here. As for my favorite thing about Atlanta, I am a huge lover of live music so it is hard to overstate just how much time I spend in some of the amazing local venues throughout the city, like Eddie’s Attic which I live right near. In terms of a favorite book, as a literary scholar I might have to cheat on this one because I just have too many favorites. So instead, I’ll share my current favorite, ie. what I am reading at the moment. To complement my work on the Atlanta Studies journal for my fellowship this year, I decided to delve into a literary representation of Atlanta and am currently reading Toni Cade Bambara’s novel Those Bones Are Not My Child. Still unfinished when she died, Bamabara’s powerful fictional exploration of the city during the Atlanta Child Murders of 1979-1981 was posthumously edited and published by her friend and colleague Toni Morrison. And though it is an undeniably harrowing book, it is also one that feels so absolutely necessary to read as an inhabitant of this city. My dissertation is titled “Caring Across the Color Line: Race, Disability, and Scenarios of Dependency in Nineteenth-Century American Literature” and investigates the complex intersections of race, disability and gender in relationships of interracial interdependence and care in America– such as that between a white master and his black slave caregiver in the antebellum South – through the literary and cultural representations of such relationships. I track such representations from their emergence in the Jacksonian period through a variety of antebellum and post-bellum transformations and conclude my examination at the turn of the century. Ultimately, my dissertation shows how such literary representations serve to both record relationships often obscured due to their negative implications – in this case of dependence and vulnerability – as well as expose the anxieties and fantasies often played out in representation of these kinds of configurations of black and white bodies. And though my dissertation is focused on such historical representations, the inspiration for my study ultimately came from wanting to better understand how representations of interracial relationships of interdependency came to hold the charge they still do today, and thus my project seeks to uncover the long history informing those contemporary representations. 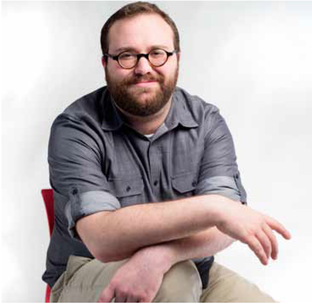 Adam: I’ve long had an interest in digital pedagogy and digital humanities, and in fact the very first class I ever taught was actually part of the pilot for Emory’s iteration of Domain of One’s Own. As such, when I began thinking about sixth-year funding, I was immediately drawn to the prospect of delving a bit deeper into the digital aspects of my work, which aren’t a part of my dissertation. At the same time, as I’ve begun thinking more concretely about post-PhD plans, I’ve become increasingly drawn to those careers known as “alt-ac” (alternative academic, or anything off the tenure line and teaching track) and thus was interested in getting to explore the kind of work that occurs in academic spaces outside the classroom, such as in libraries and centers for digital scholarship. 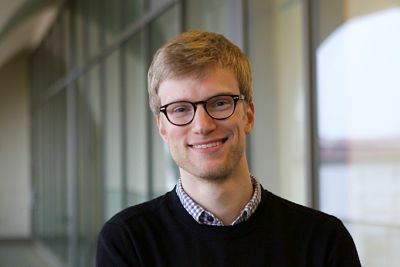 Adam: As the Woodruff Library/ECDS Fellow in Digital Humanities, I am working with Jesse P. Karlsberg on the open access online journal Atlanta Studies, which ECDS hosts. I am serving as an associate editor for the journal and in that capacity, I am working on just about every aspect of the journal: from publication strategies and working with the editorial board to soliciting contributions, managing submissions, copy-editing and laying out multi-modal articles, and even coordinating our social media presence. It has already proven to be an invigorating experience that has allowed me to do a different kind of intellectual work than what I am doing in my dissertation as well as learn new skills and collaborate with a variety of folks across a range of institutions and disciplines.